Passionate desserts – Happy Valentines Day! Heat oven to 180C. Line a 20 by 30 cm baking pan with baking paper, extending paper 2 cm above edge on two sides. Sift flour and icing sugar together into a bowl. Stir in coconut and butter. Press mixture firmly into base of pan. Bake for 10 to 12 minutes until slightly risen and edges are lightly browned. In a bowl or jug, mix condensed milk, passionfruit and lemon juice together. Pour mixture over base. Return to oven for a further 10 minutes. Cool in pan for 30 minutes. Cover and chill until cold. 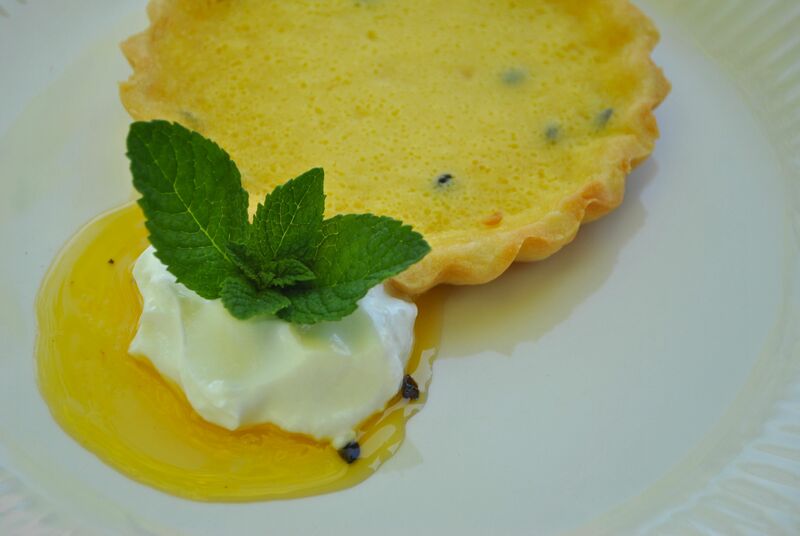 Cut into slices and drizzle with extra passionfruit pulp to serve. Process the flour, icing sugar and butter in a food processor until the mixture resembles fine breadcrumbs. Add the egg yolk and water. Process until the dough just starts to come together. Turn onto a lightly floured surface and knead until smooth. Roll out the pastry on a floured surface to a 4mm thick disc. Line a 22cm fluted tart tin with removable base, with the pastry and trim any excess. Place in the fridge for 30 minutes to rest. Heat oven to 200C. Place tin on a baking tray. Line the pastry case with baking paper and fill with pastry weights or rice. Bake for 10 minutes. Remove the paper and weights. Bake for a further 10 minutes or until light golden. Meanwhile, whisk the cream, caster sugar and eggs in a bowl. Stir in the passionfruit pulp. Reduce oven to 160C. Pour egg mixture into the pastry case. Bake for 35 minutes or until set. Place in fridge overnight to chill. Place the pastry in a loose bottomed tart pan. Press down to fill in any gaps and to make the shell as even as possible. Prick the center several times with a fork. Place back in fridge to chill for 30 minutes and turn the oven to 350F. Bake on the middle shelf of the oven until fully cooked and golden. Remove and let cool. Meanwhile place passionfruit pulp and sugar in a small pan and bring to the boil. Simmer 4 to 5 minutes until thickish and syrupy. Leave to cool completely. Just before serving, place cream, mascarpone and demerara sugar in a bowl and whip until soft peaks form. Add coconut and vanilla and mix until firm. 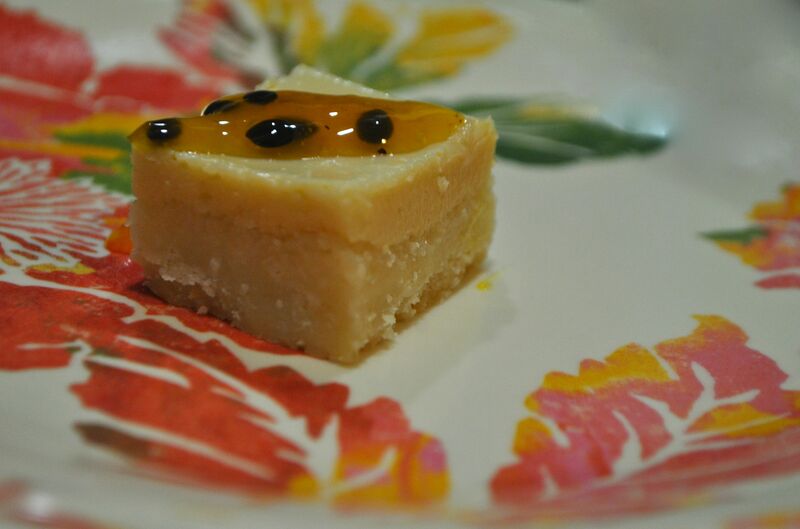 Spoon cream into the cold tart shell and even it out, then spoon the cold passionfruit mixture on top. 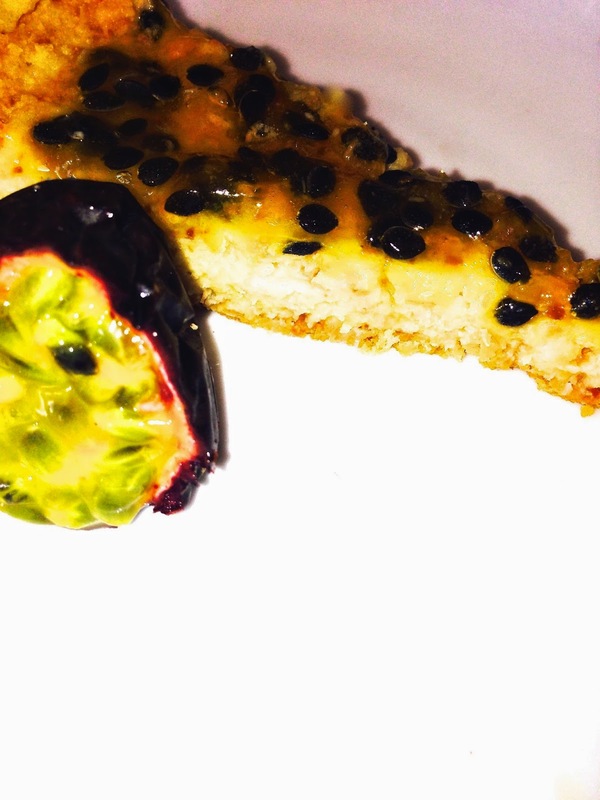 I love passionfruit – you’ve tempted me with these recipes!